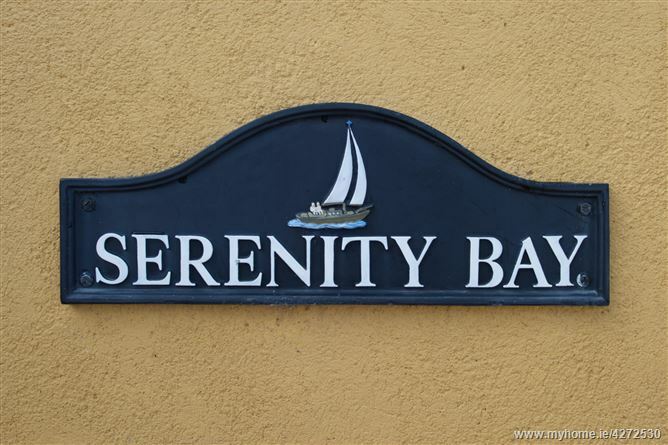 “Serenity Bay”, is a beautifully designed, light-filled, private, 4 bedroomed home situated on an exceptional site overlooking East Ferry in Cork. 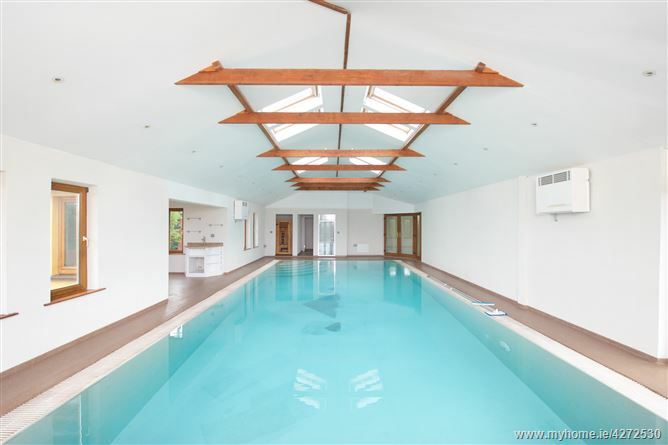 The property has been expertly planned and includes many extra features such as a 10m swimming pool together with sauna, steam room and outdoor “hot-tub”. The house has been designed and positioned to take full advantage of the breathtaking scenery. 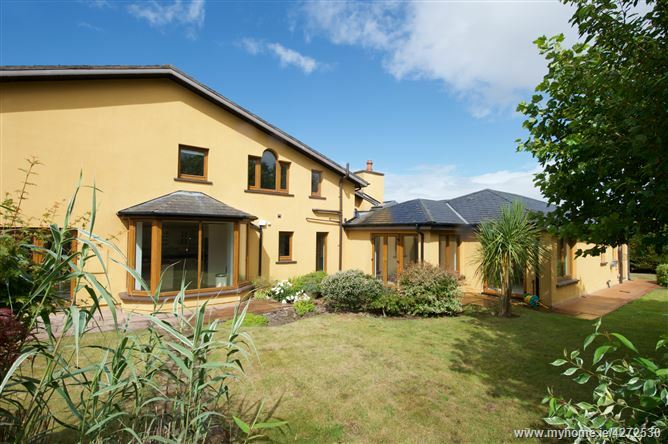 Inside the property there are 4 large bedrooms, all en-suite together with a guest WC and a family bathroom, 2 large reception rooms and a large kitchen/dining room. There is a well planted large back garden which includes a raised patio area, a garden shed and a summer house. 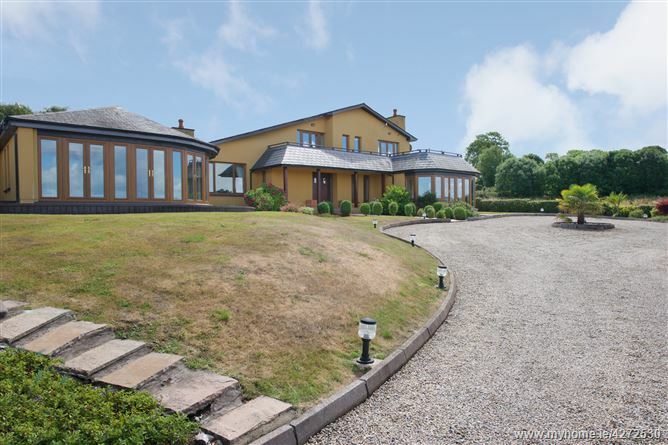 The property is approximately 8.5km from the N25 Cork to Waterford Road and is located just behind the very popular Murph’s Tavern, East Ferry. 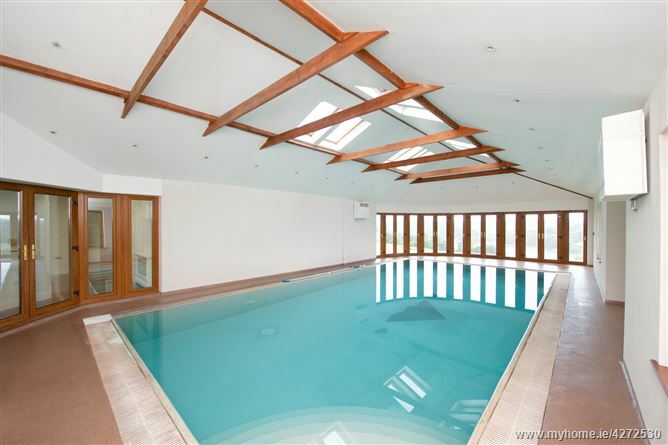 -10m swimming pool area with sauna, steam room, solarium and fabulous views over East Ferry. -Many extra design features including, ample TV and power points in every room, lighting in the wardrobes, wrap around balcony etc. 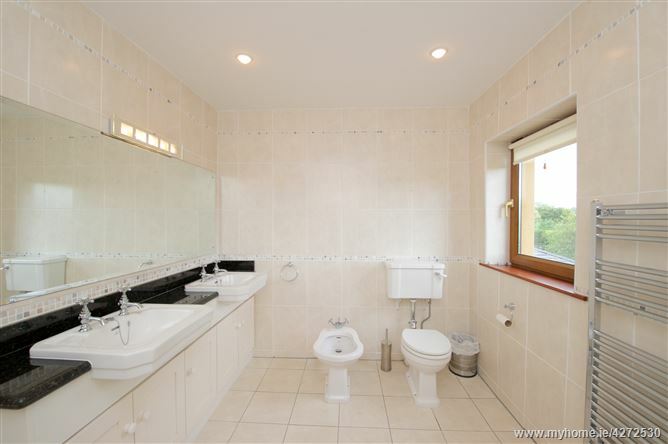 -All bedrooms are ensuite. 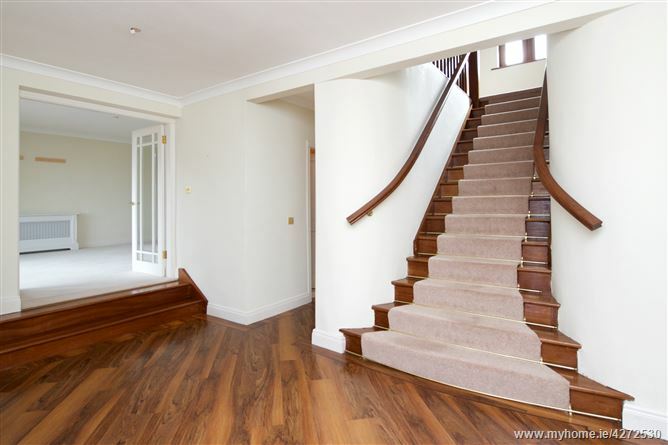 Both bedrooms upstairs have access to a large wrap around balcony. 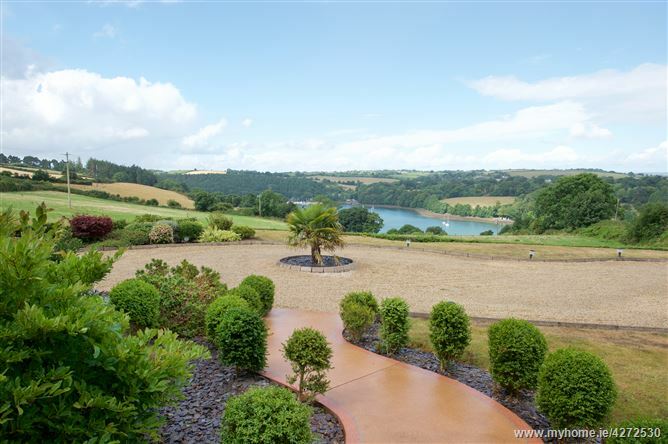 -Beautifully planted mature front and rear gardens. A curved pathway leads to a large, raised covered porch area with double front doors. Spacious room with views over East Ferry. Carpeted floor with cornicing to the ceiling. 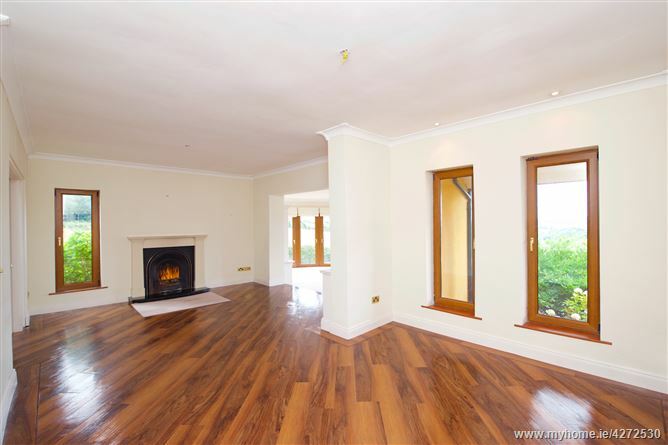 Open fireplace with cast iron inset fireplace, wooden surround and granite hearth. 2 radiators complete with painted covers. 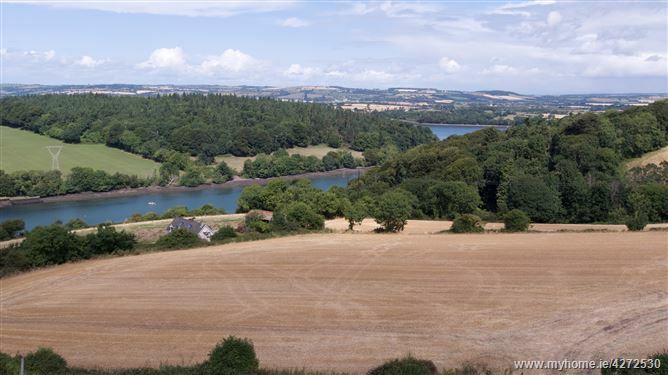 Fabulous 180° panoramic views of East Ferry with multiple access doors to the front garden. Carpeted. Integrated ceiling lights. 2 radiators with painted covers. Built in shelf unit. Wired for TV. WC and wash hand basin. 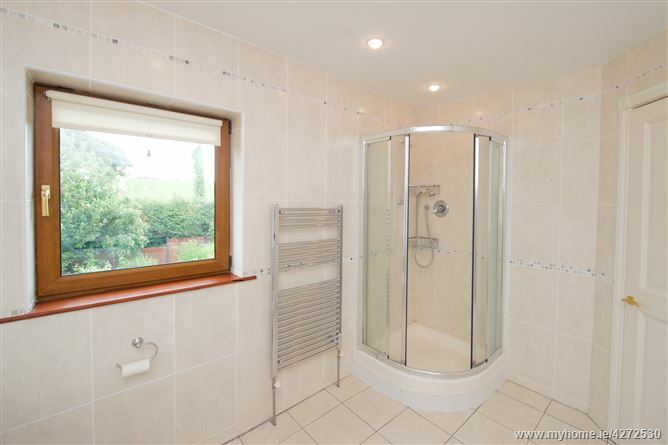 Fully tiled, floor to ceiling. Heated towel rail. 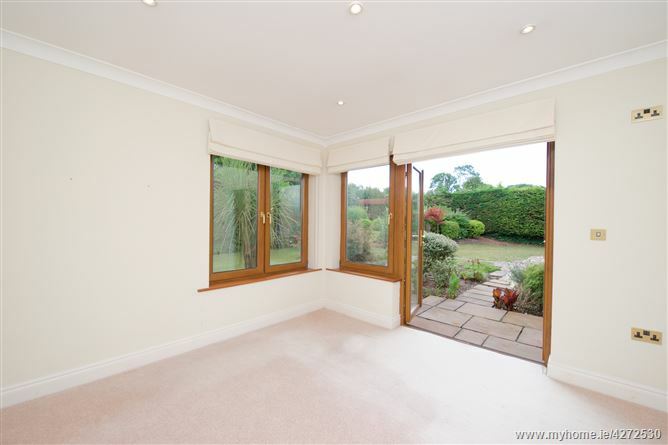 Wonderfully bright, spacious room incorporating 2 bay windows overlooking the back garden. Access to the back garden is via double patio doors. 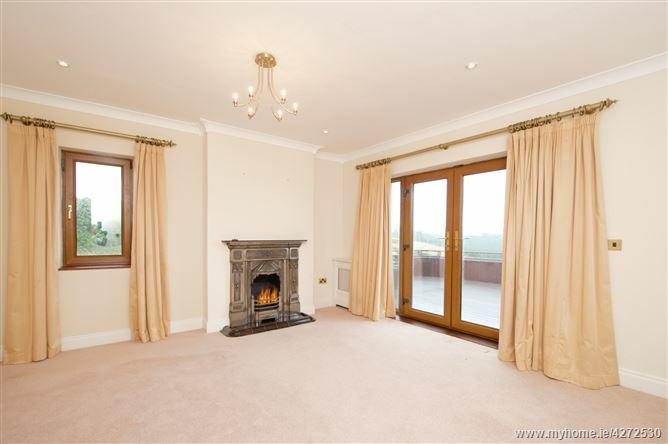 There is also access to the dining room via glazed double doors. There is a built-in, cream kitchen with marble counter top which also includes a built in dresser unit. 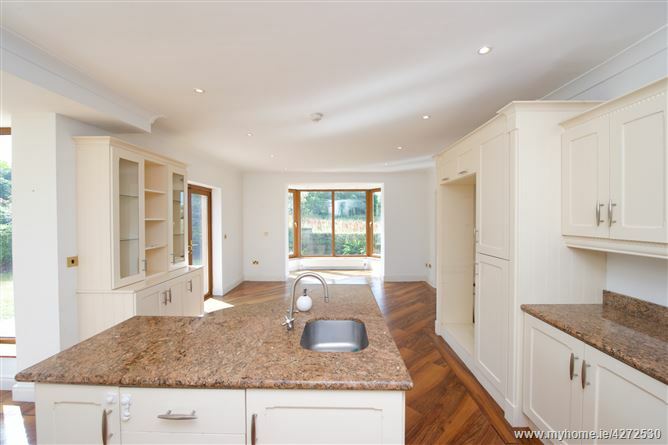 Appliances include integrated Schott electric hob, integrated AEG electric double oven and microware, and stainless steel cooker hood. Plumbed for dishwasher and American Fridge. 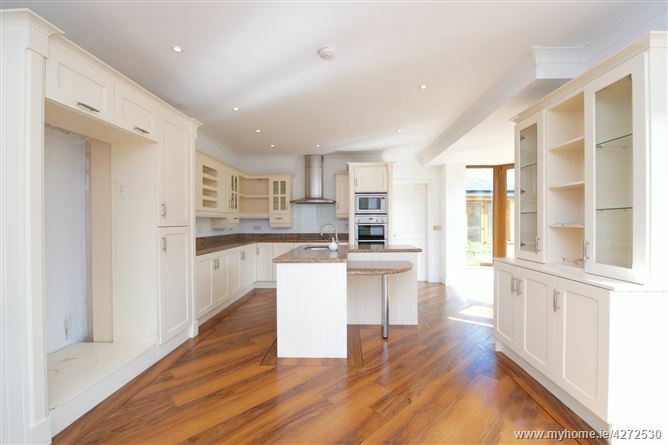 The island includes storage cupboards, a single sink unit and mixer taps with a breakfast bar. Integrated lighting complete this bright sunny room. Plumbed for washing machine and dryer. Storage units incorporate half sink and taps with marble counter top. Walk in shelved storage room. Access from utility room through to bedrooms and swimming pool area. Wash hand basin, toilet and shower unit. Tastefully tiled floor to ceiling. Heated towel rail. Another bright, spacious double bed-room with double patio doors to the back garden. Radiator with painted cover. Carpeted floor. 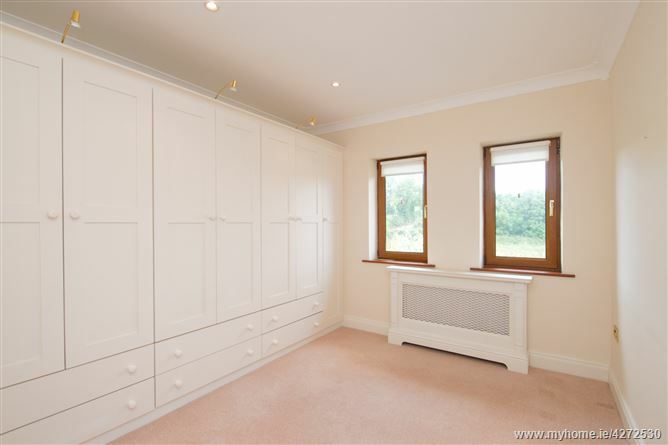 Large built in wardrobes. TV point. Pull down attic stairs to partially floor attic space. Access to the swimming pool area is through double doors from the downstairs bed-room corridor. This certainly adds the Wow! factor to this beautiful property. 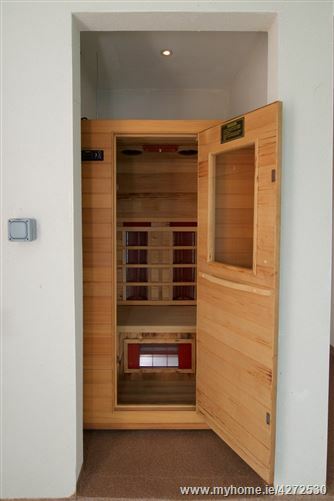 Included is a 10m heating swimming pool , solarium with mini-bar and sink unit, sauna and steam room, 2 showers and a toilet. 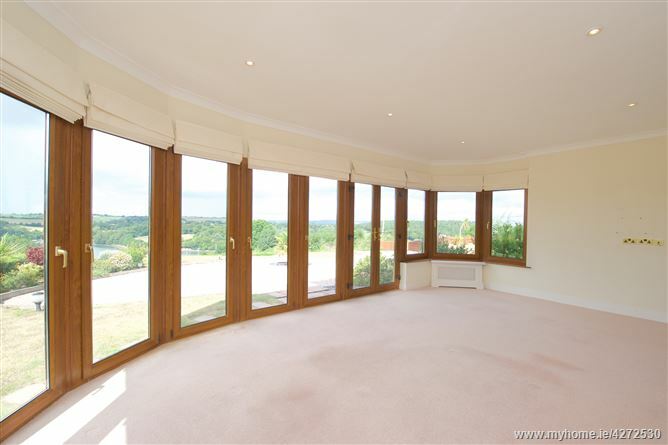 The added bonus is the panoramic 180° view over East Ferry which can be viewed through multiple double patio doors. There are velux windows in the roof with 2 X “Vaporex 30” dehumidifiers . The double patio doors open to a deck area with an outdoor hot tub tucked in the corner, again with the stunning East Ferry view! 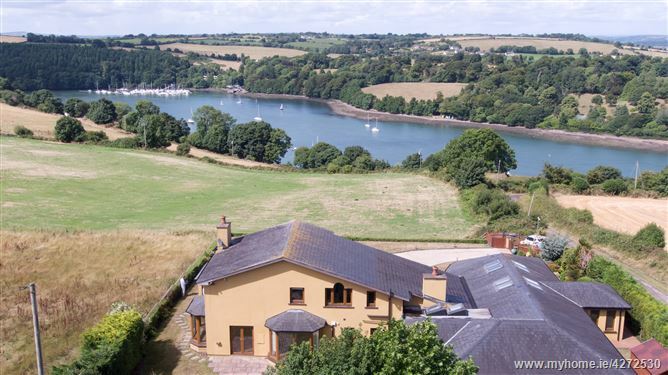 Bright landing area with those spectacular views over East Ferry. Extra spacious double mater bed-room with double patio door access to a large wrap around deck area overlooking East Ferry and the surrounding countryside. Open cast iron fireplace giving a cosy feel to the room. Carpeted floor. Integrated ceiling lights and radiator with painted cover . Spacious dressing room with great storage. Carpeted floor. His and hers sink units with mirrored splash-back, marble counter top and storage units. WC, bidet and shower unit. Double bedroom with carpets to the floor. Walk-in wardrobe area with great storage. Double patio doors to external wrap around balcony. Access to roof area. 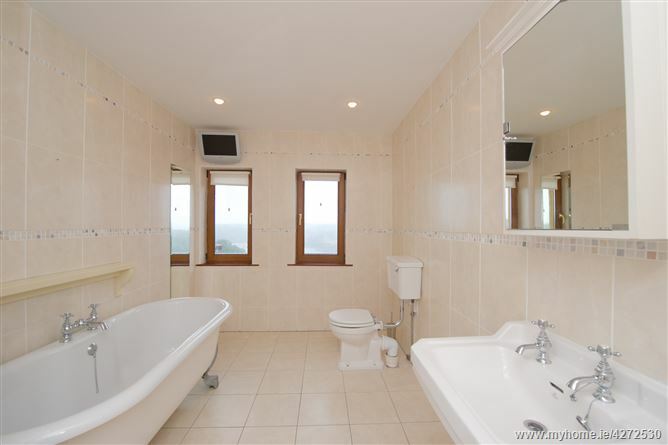 Large relaxing space including stand alone roll top bath with claw feet. WC and wash hand basin. Tastefully tiled floor to ceiling . Heated towel rail. 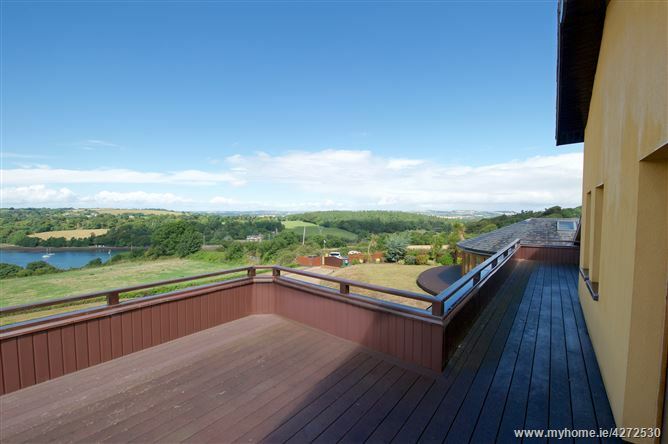 Spectacular views out over the surrounding countryside. 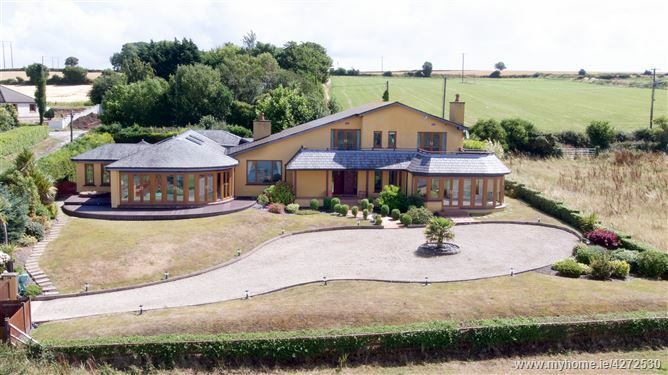 The property is accessed through electronically controlled gates into a large graveled turning circle. The front garden is beautifully planted and includes curved pathways and a lawn area, with outdoor electric lights. There is access on both sides of the house to the rear garden with curved stepping stones pathways. There is a designated bin storage area at the front gate. 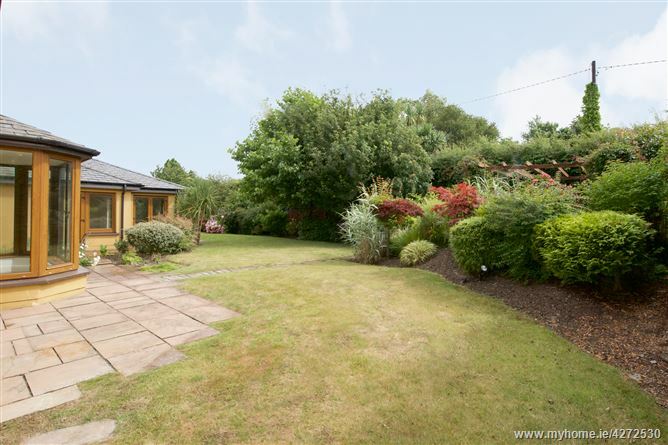 To the rear of the property there is a beautifully designed, well planted, private garden which incorporates a raised patio area, a summer house and a garden shed. The remainder of the garden is a mixture of lawn and patio areas. 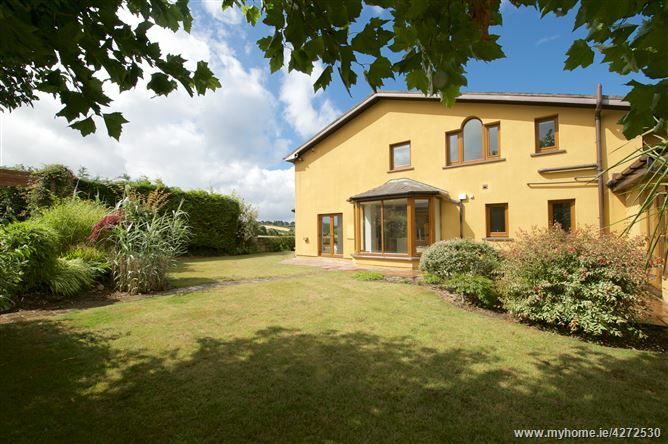 The rear garden can be accessed from both of the downstairs bedrooms and the kitchen. The garden also has electric spotlights.